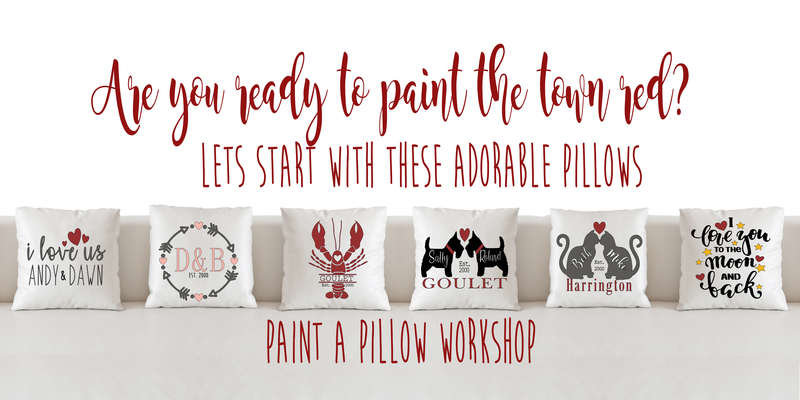 Grab a couple friends and a bottle of wine and join me in the studio for this paint your pillow class. Relax with friends and leave with a one of a kind pillow. Choose from the these 6 designs or share your ideas on your own design. Max 6 students per class. Please send me your design choice along with the wording no later January 30th. 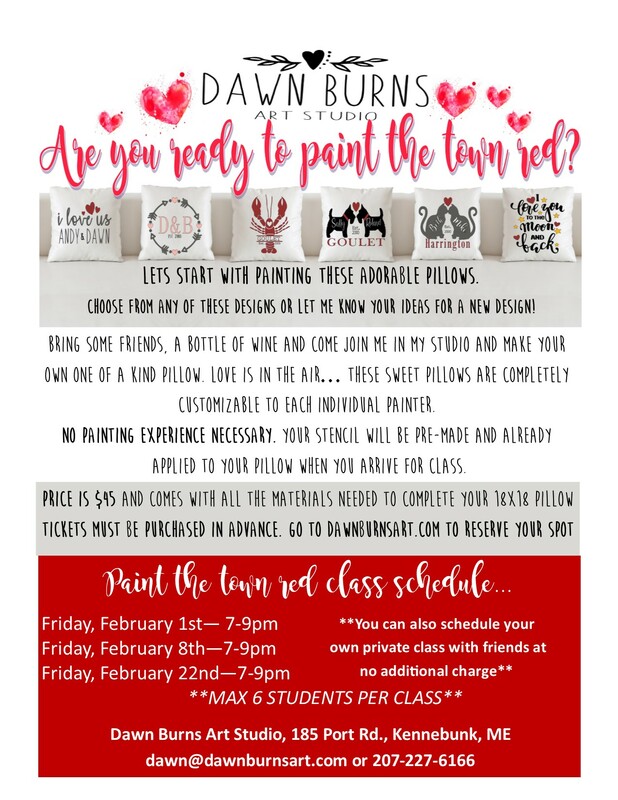 Please email dawn@dawnburnsart.com.